A huge thank you to everyone who joined unbound Miami as a speaker, partner, exhibitor or attendee for helping to launch unbound's award-winning innovation festival to the Americas'. Brands, corporate executives and investors came together to meet with the Americas' most disruptive startups, forging partnerships and explore new opportunities. 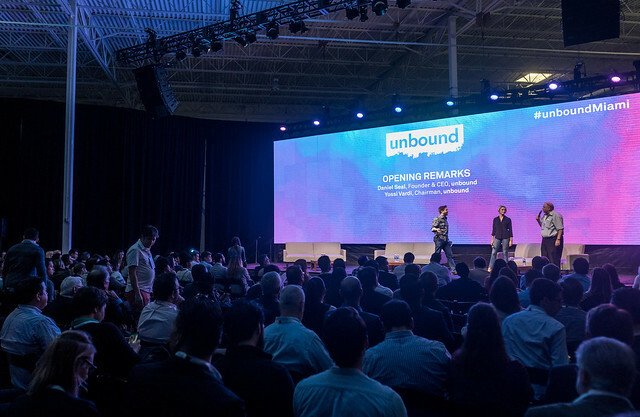 unbound Miami 2017 brought together an amazing 3,506 founders, entrepreneurs, investors, corporate & brand executives and thought leaders. The festival introduced the first Female Founders Startup Challenge and the unbound50: a special zone of the carefully selected Top 50 startups in the Americas'.